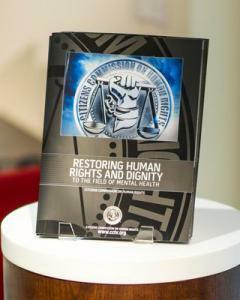 CCHR has helped more than 900 men, women and children who were being unjustly held under the mental health law in a campaign to protect human rights. 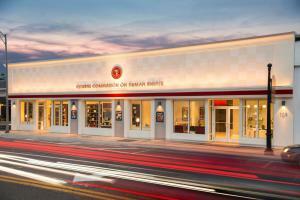 CLEARWATER, FLORIDA, UNITED STATES, December 5, 2018 /EINPresswire.com/ — The Florida chapter of the Citizens Commission on Human Rights (CCHR), a non-profit mental health watchdog dedicated to the eradication of abuses committed under the guise of mental health, has helped more than 900 men, women and children who were being unjustly held under the mental health law. Known as the Baker Act, the mental health law in Florida allows for individuals to be sent against their will for involuntary examination and held for up to 72 hours. While efforts have been made to protect the rights of individuals over the years, the fact remains that the number of people being sent for involuntary psychiatric examination continues to climb and a significant percentage of them do not meet the legal criteria to be taken into custody. In addition to the hotline, CCHR also works with the victims of Baker Act abuse to file complaints with the applicable agencies and officials to ensure that these abuses are investigated and those responsible are held accountable. Just since 2015, CCHR has filed over 700 complaints concerning abuse within the Florida mental health system that have resulted in multiple investigations and sanctions against offending psychiatrists and facilities. “Too often people who seek help are instead taken into custody and held against their will for involuntary psychiatric examination. CCHR is here to expose this abuse, help those who have been unjustly incarcerated and ultimately change the mental health law to protect people from rights violations,” said Diane Stein.